Tucked into a repurposed cottage on Galveston Avenue sits the original Brother Jon’s Public House (they have a brother location in downtown Bend). Opened in 2009, this local favorite offers family friendly dining, plenty of TVs playing seasonal sports, full bar, and Northwest beers on tap including Double Mountain’s Vaporizor and IRA, as well as outstanding ciders and regional wines. 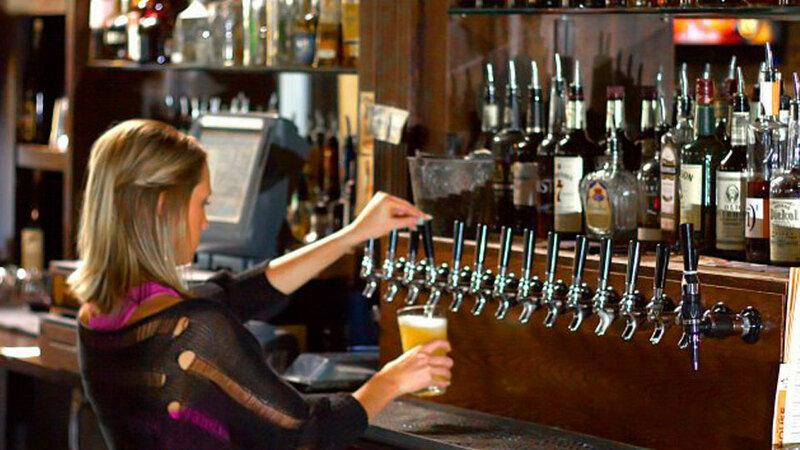 Their taps generally include a variety of Bend breweries such as Good Life, Boneyard, and Deschutes Brewery, and a large selection of bottled beers are also available. If beer isn’t your jam, the full bar pours signature cocktails and premium shots. “Bro Jo’s” Public House is open for lunch and dinner seven days a week and for breakfast on Sundays. Check their Facebook page for their daily chalkboard specials and prepare yourself to meet a lot of locals, because this place gets a ton of traffic from Bend residents. Dine and drink in one of their three “rooms” or, if the sun is shining, take your party out to the back deck.